Chester Retail Park is a shopping park situated on the outskirts of Chester city centre. It offers a good range of stores including The Range, Mothercare, and TK Maxx. Homebase closed in 2008 and was replaced by Tesco Home Plus the following year. Tesco Home Plus closed in 2015. The Range opened towards the end of 2018 on the site of the former Toys R Us store. Opening hours vary by store but all are open 7 days a week. B&M Home Store – Retailer offering a wide variety of branded goods at discount prices. Hobbycraft – Arts and crafts store offering a wide range of products. Mothercare – Products for mothers-to-be, babies, and children. Outfit – Fashion from Topshop, Topman, Miss Selfridge, Burton, Dorothy Perkins, Evans, and Wallis. Sports Direct – Sportswear, footwear, and sports equipment. 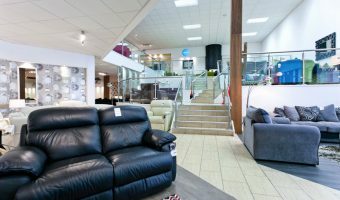 The Range – Furniture, lighting, bedding, household goods, curtains etc. TK Maxx – Designer labels and famous brands at heavily discounted prices. Chester Retail Park is situated on Old Seals Way, approximately one mile from Chester city centre. Drivers with satellite navigation systems can use the postcode CH1 4RY. The park is adjacent to the Greyhound Retail Park and the Deva Retail Park. 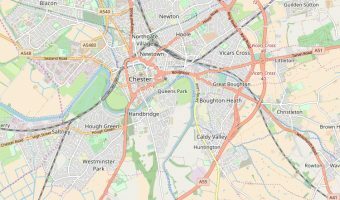 Map showing location of Chester Retail Park. The Tesco Home Plus at Chester Retail Park is set to close in March. Over 60 staff members are thought to be affected. The store is one of over 40 in the UK deemed unprofitable by the retail giant.